Coming This Weekend: A Call to Arms for All Working People, AND for Protection of Wisconsin’s Families! Struggles for Justice will issue a workers’ and families’ call to arms late Saturday afternoon to stop Governor Walker and his henchmen in the legislature from passing legislation that will get around the 8-Hour-Day and Five Day Week enshrined in national labor legislation since 1940, and impacting anybody who essentially is not in the top one percent of income earners. It also impacts equally on the most earnest and loyal conservative Republican partisans, Union. liberal, and Democratic households alike. In point of fact, though there are fundamental issues of Union rights, this is both a morally transcendent issue AND a threat to anybody who supports strong families; something the Walker’s of the World claim to be about. It is, if nothing else, the most pragmatic and non-partisan of questions. Perhaps even Walker and Glen Grothman have not thought of its full impact themselves, in their rush to please the Wisconsin Association of Manufacturers. This call to arms tomorrow night will stress the common needs of humanity NOT partisan bickering. Look for it Here! Struggles for Justice, Speaking for the Voiceless, Protecting the Vulnerable. 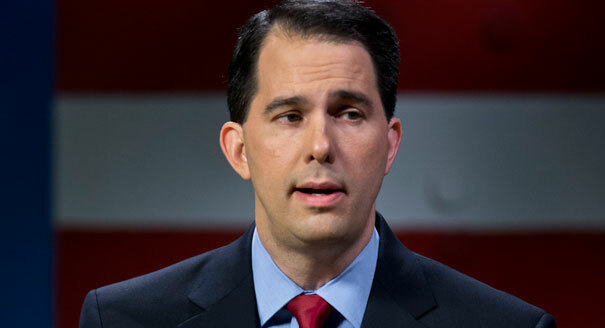 This entry was posted in Community and Citizen Action, National Affairs, The Faith Community, The State of Labor and tagged Governor Scott Walker, Governor Walker, Morally Transcendent Issues, national labor legislation, The 8-Hour-Day, The Fair Labor Standards Act, The Faith Community, the Five Day Week, Union Rights, Wisconsin Association of Manufacturers. Bookmark the permalink.